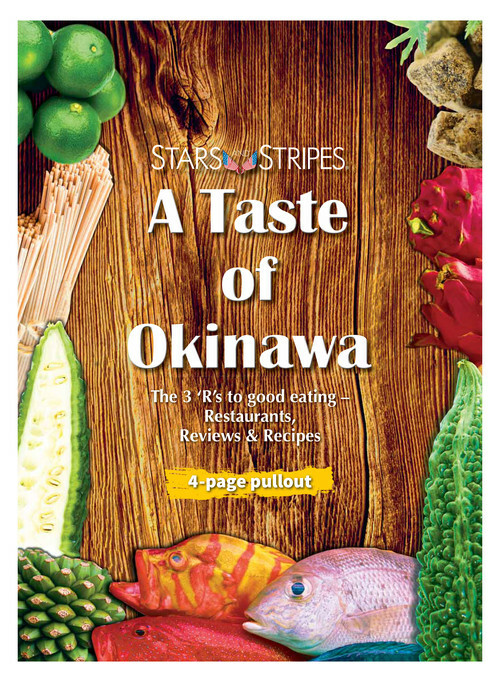 Taste of Japan, Taste of Okinawa and Taste of Guam are monthly guides to help military personnel and their families explore all the foods, beverages and culinary traditions those areas have to offer. 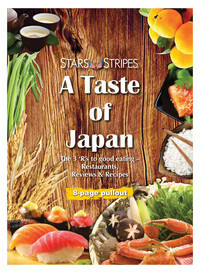 They feature what to eat and drink, where to find it and even how to make it. 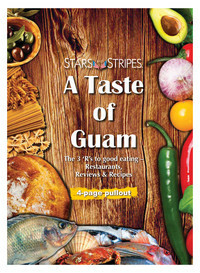 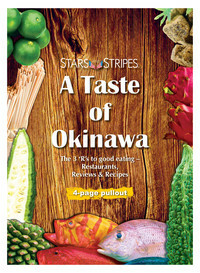 Published as special pullout sections in Stripes Japan, Stripes Okinawa and Stripes Guam, each edition features the three ‘R’s to good eating - local restaurants, reviews and recipes - to help readers get a true taste of where they live.